This property has 1 King(s), 5 Queen(s), 2 Full(s). Wow!! That’s all I can say!! Amazing service! Amazing quality!! And was very flexible. I will always use Wowrentals from now own!! The house was fully equipped and ready for our family to feel like home for the weekend. This place had more than enough room and had everything we needed especially in the kitchen. My family and I enjoyed our stay so much we will definitely be back. This is a really beautiful house close to the main village. Well-equipped kitchen. Right by the lake. We had an excellent time. Great location, big kitchen and living area. Went with 4 couples. Very nice. Rented this cabin with 10 people (and 3 babies) and had plenty of room! 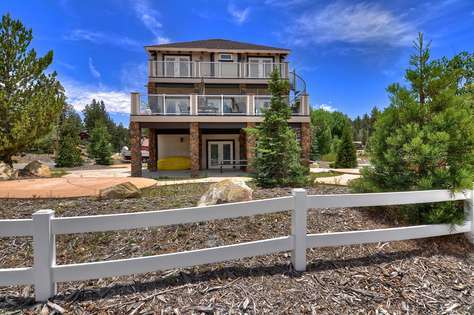 Cabin is in a great location for young children with cul de sac for them to play outside. Loved eating outdoors on open-air patio deck with dining table overlooking the lake. Spectacular views! We went during the summer time so it was a little warm, but each bedroom had a fan inside, so this was very helpful in staying comfortable at night. Would definitely recommend again! This house was amazing beautiful views n very clean I will definitely book this property again thank u. Overall it was a wonderful stay very spacious and comfortable. The house it very well equipped and the labels on where the kitchen items are located it was very helpful. The kids had a great time as well as the adults. We had a large group of 14 ages 3-72 and everyone was very pleased with the home and location. We never felt cramped and everyone had a place to sleep. Kitchen was absolutely beautiful as well as the deck and view. We had some snow left over on our trip which was a nice surprise. Very close to the village, eating, slopes, lake and shops. 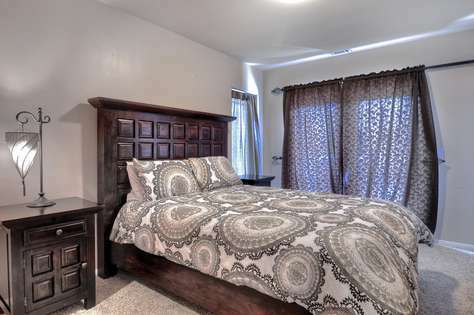 I would absolutely recommend this home and are looking forward to staying again. I've rented many cabins and lodge and this by far is the best. Once you step foot inside you know you picked the right lodge, everything is up to date and modernize but still have that outdoor feeling. 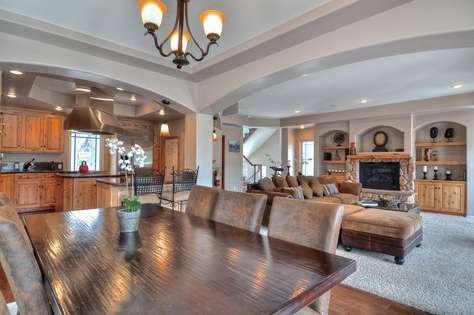 great open floor spacing to entertain anyone.the view is amazing from any where of the house. The outside deck is huge. 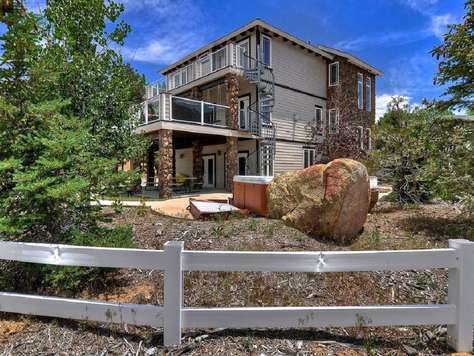 3rd floor balcony has a breath taking view that over looks Boulder bay. 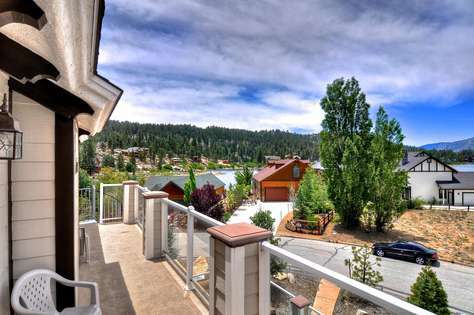 1 minute walk to Boulder bay, about 4 minute walk to the liquor store and mini mart.10 min drive to big Bear slopes and snow summit. 10 min drive to nearest town for shopping items. Very quiet and peaceful location. Garage has a game room with darts, ping pong table, and Foosball table as well. The kids use the bikes that was already provided to explore Boulder bay. If the lake wasn't frozen I would have jumped into off our personal dock lol. The only flaw about this place was the hot tube was no where ready for usage we had to wait for 5 hours and the kids was looking forward to it. Other then that the lodge was perfect! I will absolutely love to rent from Ryan again. FYI Lory the on-site manager is absolutely friendly and helpful. I don't usually leave reviews, but I know when I went to find a house it was the first thing I looked at. We recently rented this house for 4 days with three other families. 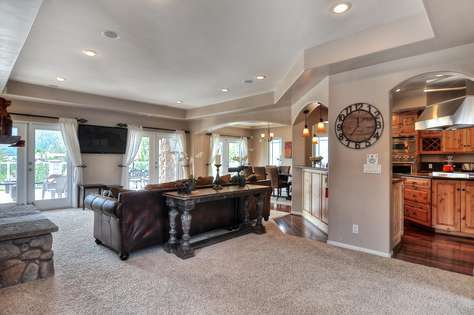 This house is perfect for families with kids or just adults. When we first arrived we were all nervous being the house is 3 levels and the kids room is on the bottom. Within the first hour we never worried again. We had a few minor glitches, but nothing big enough to even mention. The house is also on a culdasac, it was perfect for the kids. The location is also awesome. Everything is within 5 minutes. 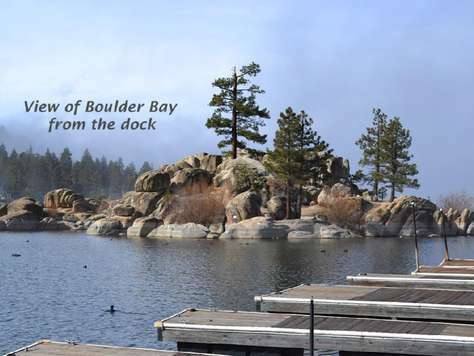 We are hoping to make this an annual trip and we will definitely be staying at Boulder bay! Ryan and Lory were both amazing! My family recently stayed at the Boulder Bay Lodge for a holiday family vacation. We absolutely LOVED it! 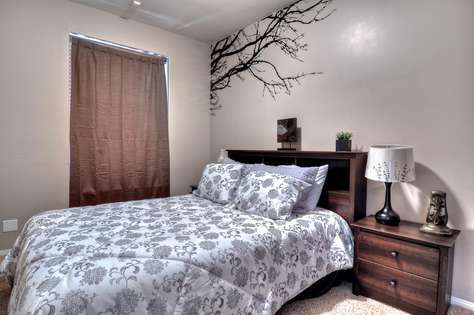 This is a beautiful home with everything you need to be comfy and cozy! 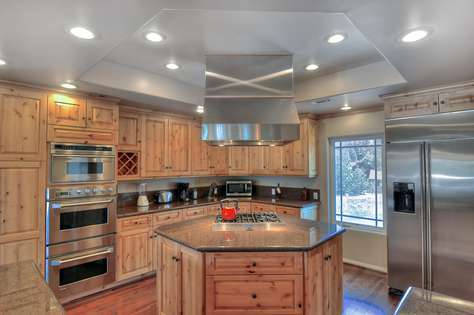 LOTS of space and beds for multiple family members - fabulous kitchen that was well stocked with dishes/appliances, etc. Very close to the village and right on the lake! 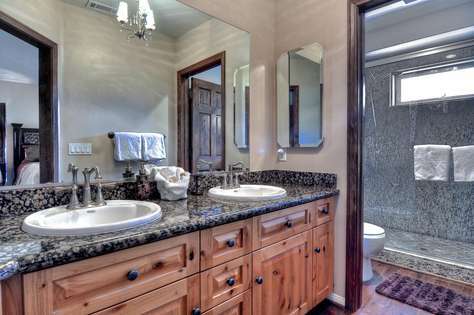 This home is well cared for and just beautiful! The owner, Ryan, is so pleasant and helpful....We accidentally left some items in the master bedroom which they discovered upon our departure. He texted me that they were found and even brought all of our items back with him (we actually live in the same town!) so we could pick them up! I highly recommend!! My family and I spent the weekend in this beautiful Boulder Bay home. The moment we walked in everyone was taken aback by the gorgeous home and spectacular views. We were a party of 12, enjoying our annual family trip. We had so much fun, enjoying the lake, Oktoberfest, trails, and of course the ability to decompress by getting away from the city. We had 3 kids and 1 baby with us, the kids had the bunk bed room all to themselves and we took 1 of the masters which had enough room for our playpen. The home in great condition, rooms were spacious, the kitchen was perfect for cooking for our family, the deck was ideal for entertaining, and the property offered plenty of outdoor space for the kids, all fenced in. Thank you for being the best host! Best Big Bear vacation yet! We rented the Boulder Bay Lodge for 3 nights to celebrate my mom's 70th Birthday. 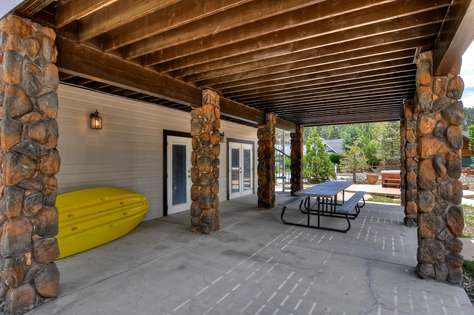 The house is certainly one of the best decorated and appointed houses in Big Bear that I have rented. We did a lot of cooking in the house and found that the kitchen was very well equipped to make all of our meals. The house gets a lot of light which was wonderful to enjoy the views in the morning after it snowed the night before. 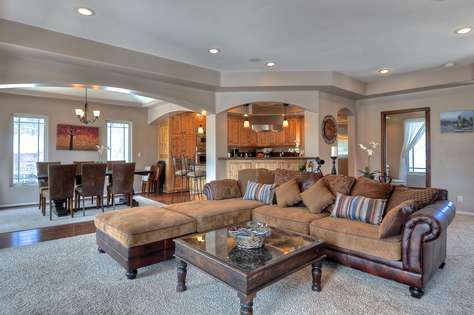 The living room is large yet cozy, with a great fireplace to gather around. As for the booking process, Ryan was a pleasure to work with - very responsive, reachable, and flexible. I would love to return to the house in the Summer to enjoy the deck! We had a family reunion with several families and it was adequate enough not to be on top of each other. Wow Rentals was very accommodating to some of our special needs. They also responded during our stay immediately. The view is amazing and it was a great location close to everything. We are from out of state and if I ever am back in the area I will stay there again. Wow Rentals was very responsive to all our inquiries and very accurate in their description of the property. This was a beautiful house and our family enjoyed the stay . We were very happy with our experience and time at the property. Any questions we had, were immediately answered by simply texting wow rentals and someone called us back right away. The house had everything a family getaway would entail. 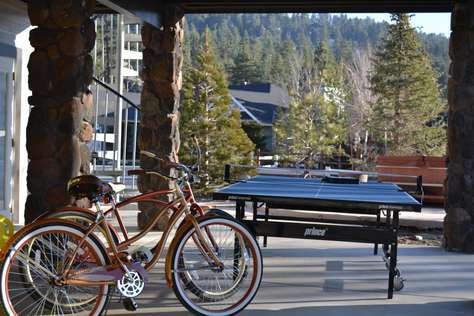 Games, bikes, nice patio, and a balcony with a swing and an extremely breathtaking view of the lake and mountains. Furthermore, it was a two minute walk to the lake. Property was amazing. Great view of the stars. Quiet enough to relax but enough space between neighbors so that you can be pretty loud yet not disturb anyone. The home is spacious and has everything you need. Communication was great with everyone. We were very sad to leave. I recommend this to anyone wanting to get away with family or friends. 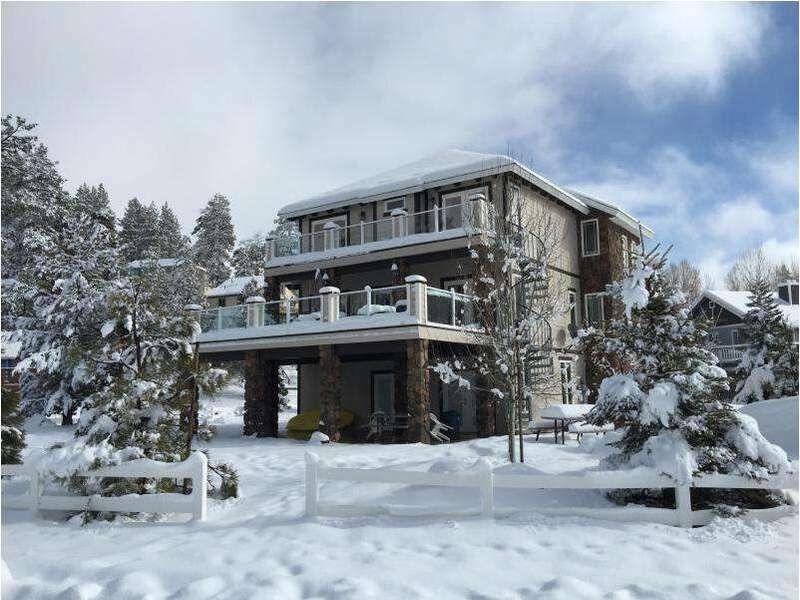 We really enjoyed our family vacation at this rental in big bear. It is a lovely home with great views and a good location. The rental company was very accommodating to our schedule and easy to communicate with. This home was great for all ages. We were celebrating my parents 50th anniversary so we had 72 year old down to 9 month old and we all felt comfortable. Great safe deck!!!! and the decorations/furniture were lovely as well as kid friendly. (This was needed for the parents to relax while the kids had fun also) The only reason I gave this 4 stars and not 5 was due to the limited fridge space. 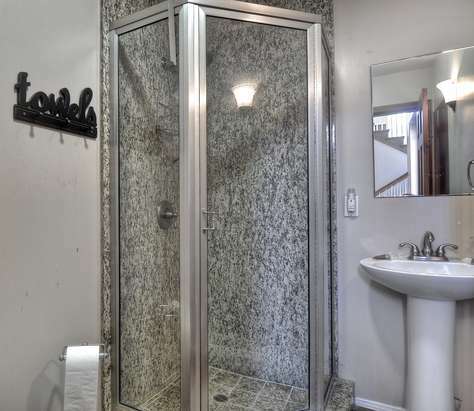 This home has a beautiful built in fridge that is shallow. They did provide an additional miny fridge so it was adiquit for our stay. But if you are planning a Costco run before you head up the hill don't get to many large refrigerated items. We were so happy with our choice to stay at Boulder Bay Lodge! We went for four nights with a group of our family (there were 10 of us total) and we were so pleased with everything. We had more than enough room, there were plenty of amenities, beautiful view, and more than enough clean towels, linens, and anything else we needed in the house. My favorite was the wonderful deck where we bbq'd and hung out almost every night for dinner. 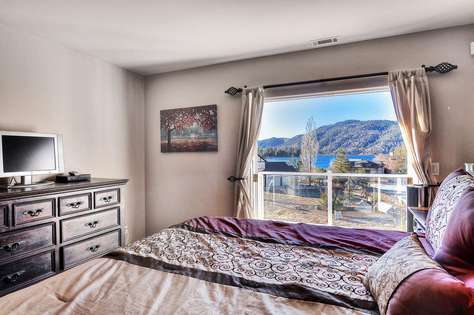 There is a beautiful view of the lake from just about any room in the house. We would definitely go back. Just stayed for 4 nights at this Boulder Bay house and my family of 11 absolutely LOVED IT ! The size and floor plan was perfect for all of us. We had 6 adults, 3 teenagers, 1 4yr old and 10month old. The enclosed railing on the deck was ideal especially for the smaller ones and the swing was a big hit. What a great idea and special touch. Another big hit was the game room with darts, ping ball and the foosball game. Thanks to the owner for also including bicycles. The outdoors area was large enough to also play other games. Of course the hot tub topped it all off especially after swimming in the beach park which is right next door. The kitchen, dining area and living room was as roomy, useful and beautiful as the pictures. we all felt right at home and can't wait to return. Thanks Ryan for welcoming my family and the use of your home. Our family stayed at the Boulder bay lodge for a family reunion. We stayed for 3 nights in June and it was wonderful! There was 14 of us, mostly adults and 3 teenagers, but there was plenty of room for all of us both during the day & at night! 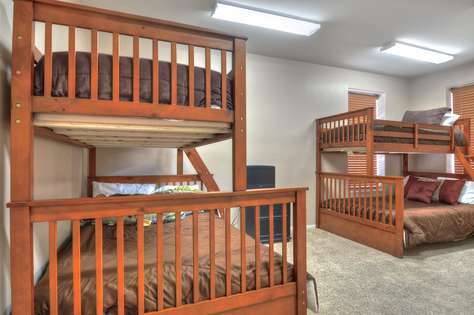 Plenty of sleeping quarters and large lounging areas! This cabin was beautiful, everything as described and more! There was plenty of supplies for all uses! 2 bbq grills, 2 coffee pots, a large refrigerator and an extra small refrigerator that we used for drinks. Fully stocked kitchen, with everything we needed to prepare large scale meals, we just brought the food! The bathrooms had plenty of towels & basic toiletries and the bedrooms had plenty of blankets, pillows & sheets. We used all the extras! Played ping pong, Foosball, darts, rode bikes and relaxed in the jacuzzi and used the dock to rent Kayaks. We even lit the fireplace 1 night when it got a bit chilly. We all loved everything about this cabin & we are planning to make this a yearly family tradition and we hope to have more family join us next year so we can rent the bigger "Mighty Bear" cabin! We will definitely be back!! The only suggestion I have is installing a dvd player in the main living room area, we did want to watch some dvds we brought but the only dvd player was in the first floor bunk bedroom, too small for all of us to fit. 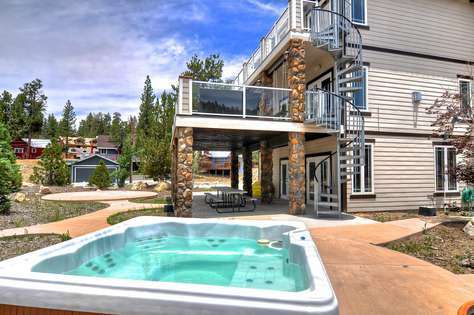 I have rented many vacation homes in the Big Bear area and this is by far the best. We had 12 in our group for a reunion get together and there was more than enough room for everyone to be comfortable. 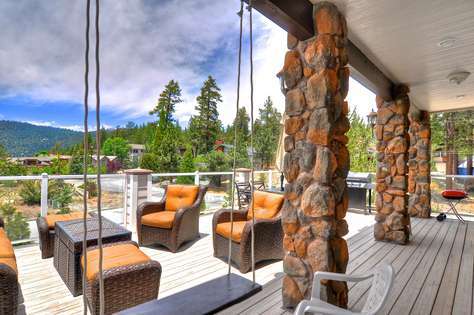 The 2nd story deck was perfect for our group to enjoy the great outdoors, bbq and just relax. The kitchen was grade A with everything you need to prepare meals for a large group. The boat dock was super close and provided an ideal area for fishing. The house is just felt like home during our stay. The owner Ryan was a pleasure to work with. He really went out of his way to make sure we had everything we needed. Everyone had an amazing time and I would definitely recommend this home to anyone planning a vacation. Can't wait to come back. Big thank you to Ryan at WowRentals.com. The home is simply superlative. 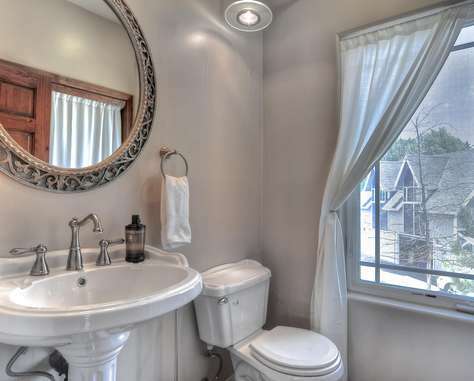 It's very well laid out and outfitted with luxurious accoutrements. The open floor plan in the main kitchen/living room that extends to the deck made it a perfect center to hang out and eat. The separation of the game room on the first floor from the rest of the house also made it convenient in terms of insulating the late night foosball game noise from the rest of the house. Ryan and his staff were excellent hosts and very responsive. We'd definitely return. The views from the house were beautiful and the location is perfect. We had 2 young boys with us and 2 teenage girls and they all enjoyed the foosball and ping pong table and the walking distance to the lake to fish. We were a large group of 13 and the house suited us fine! Plenty of cooks in the kitchen and everything we needed was there. Would definitely stay here again. This house is beautiful, comfortable and spacious. Someone met us at the house and gave us the key and showed us around - this was great. 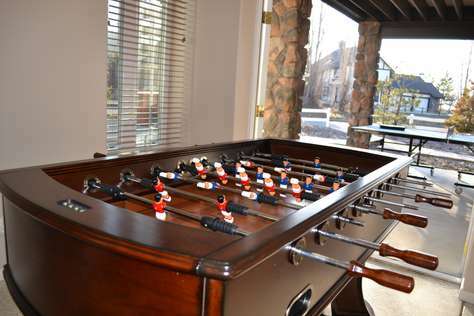 We had 4 kids with us and they loved the bunk beds and games (foosball & ping pong.) The adults loved the jacuzzi. The kitchen is large and fully stocked with appliances and utensils so we were able to prepare big meals. The views are amazing - it snowed while we were there and it was beautiful! The house is close to the lake, which is fun. The only problem we had was that the bed on the first floor is very uncomfortable. The beds on the third floor were wonderful, but the people that ended up in the first floor bedroom did not sleep well. Next time, I would only put kids in the first floor bedrooms. Other than that, we had a great time and we would definitely go back to this house! 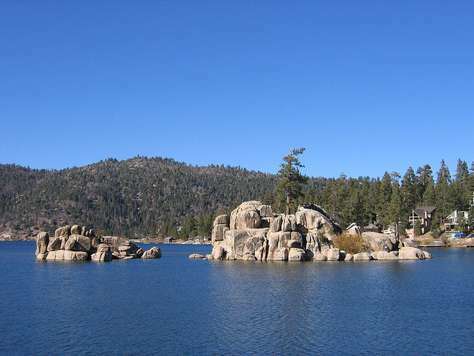 We went to big bear for the weekend of May 1-3 for my wife's birthday and let me start by saying that we had a blast. The location was great and the house had everything we needed . The owner was extremely nice and accomodating towards our stay. The view from the house deck and upper balcony was to die for . We did a lot of outdoor activities like hiking and kayaking. Awesome location. We will most define it be returning and staying here again. Me and my friends stayed here and it was awesome. 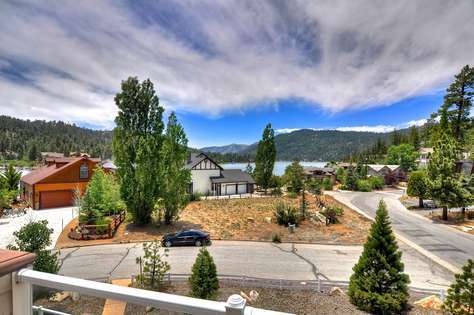 Its a beautiful house, its big, amazing price for this place, everything is up to date unlike most big bear cabins, great view, super close to the lake, and the owner Ryan is great...such a nice guy, and very professional. 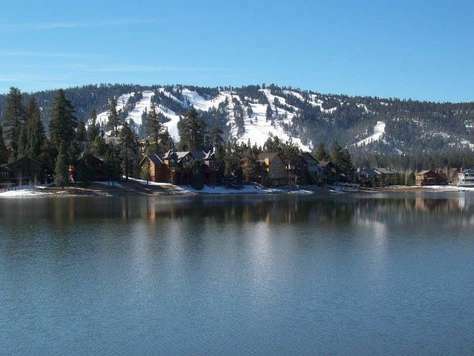 Definitely staying here again next time I go to big bear! This was a very beautiful and relaxing home. It was very spacious, the view from the deck was great. Had a lot of fun with friends in the house; there is ping pong, foosball, and a jacuzzi! The owner Ryan was really nice, he met up with us at the property to give us the key and a tour of the house. He told us how to work everything and made us feel at home. Coming back here for sure. Incredible place. Loved it! Will be back. Amazing... The cabin was far more than expected and the accommodations were top notch. Thank you for making our trip one to remember. 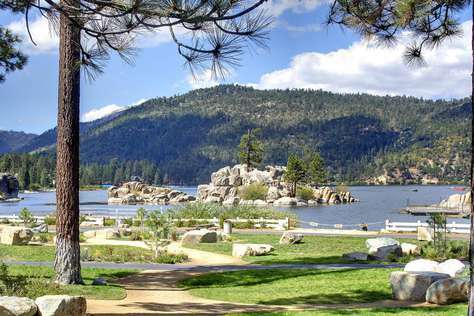 I highly recommend staying here and we will definitely be using your service for all future Big Bear vacations.